Fully Furnished Serviced Offices Available for rent on Sheikh Zayed Road in the main Business Hubs Near Dubai International Financial Center (DIFC) Area, Available for both New and Established companies. 1-minute Walk to Metro station. Expand your office space at prices starting from 1,250 AED per month with an area of 50 to 200 square feet at the best business centers in Dubai. Flexible rental contracts (Weekly - Monthly - Yearly) licensed by Dubai Economic Department. > Phone answering and call forwarding service. > A customer service representative to welcome your guests. > Fast and secure internet. > Reservation of meeting rooms. > Free Tea and Coffee services for your guest. > Free Dewa and utilities. 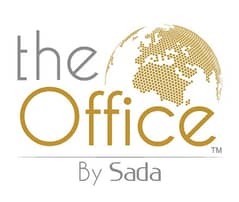 > Best fully furnished offices with reasonable price. theOffice Business Center is located in the financial center area. it overlooks four main views which are Sheikh Zayed Road, Dubai Trade Center, Emirates Towers and Burj Khalifa. There are many restaurants, cafes,pharmacies, gyms, and parking lots with valet services.